Hi. I know after I last used my 87 convertible last year that the handbrake lever felt completely loose. When you pull it all the way up there was never any resistance. Also if I recall there’s no ratcheting either. Any ideas what I could expect when I start recommissioning the car on Monday? Guess I’ll need it working for the upcoming mot. The ratchet parts are probably seized. Your probably facing a strip down, new cables (Rockauto) and the joy of adjustment. If you need new shoes, you'll need to find a classic brake guy to reline them. Refitting the shoes behind the hub is fiddly but it can be done. Then again you might just get away with adjustment. Start at the ratchet to get it clicking, back it right off, then adjust at each wheel till you get it close, then adjust at the equaliser til it work (when you start at the equaliser, have the lever on a couple of clicks first. Ok guys thanks very much. Well it failed the mot today on the handbrake (plus some other things). So will be digesting info above as well as Haynes manual. Despite whatever adjustments/servicing I need to do at the back I’m not sure my hantbake lever is functioning properly. Check these images out. Is that copper strip the correct shape and in the right place? When googling other handles for sale they have it as more of an “L” shape that points forward and seems to not be anywhere near where mine goes. Hopefully the links will work. Appreciate anyone’s thoughts. They’re taken from above the handle looking down towards the carpet right between the handle pivot point and the seat focussing at the back of the handle looking at the copper switch. All it has to do is ratchet and pull up the cable and hold it. If it doesn't do that you need to fix it. These levers are rarely used so may be a strip down and clean will do the trick. Thanks. What is it that pulls the ratchet back down to its rest position after you press the lever button in? Is it The springs in the shoes that do that? Turns out the hooked cable had come off little shoe lever thing that sticks out of the back of the hub on the pasengaer side. Slipped it back on, followed the adjustment instructions and now seems to be nice and tight. Will test out tomorrow. 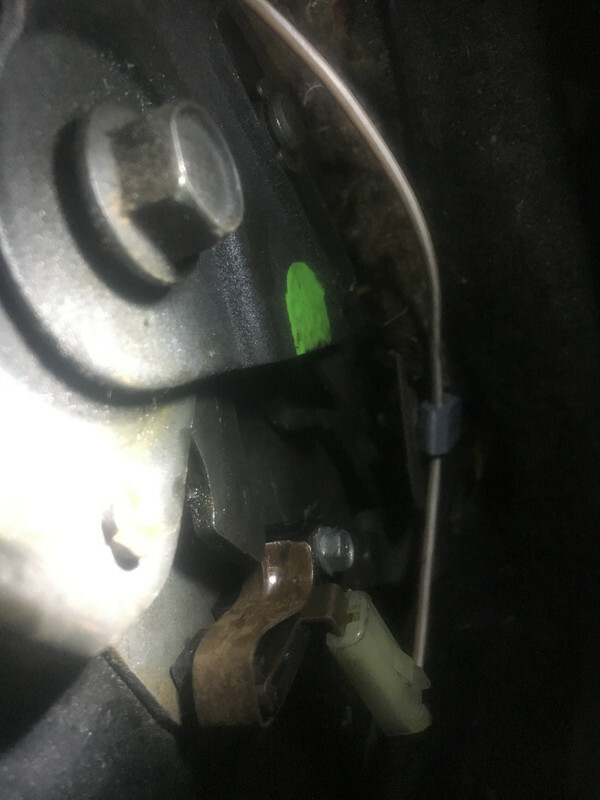 So the hooked end of the right hand side handbrake cable keeps unhooking itself off the finger inside the back of the wheel hub. That makes my handbrake fail. When hooked back on handbrake is fine. 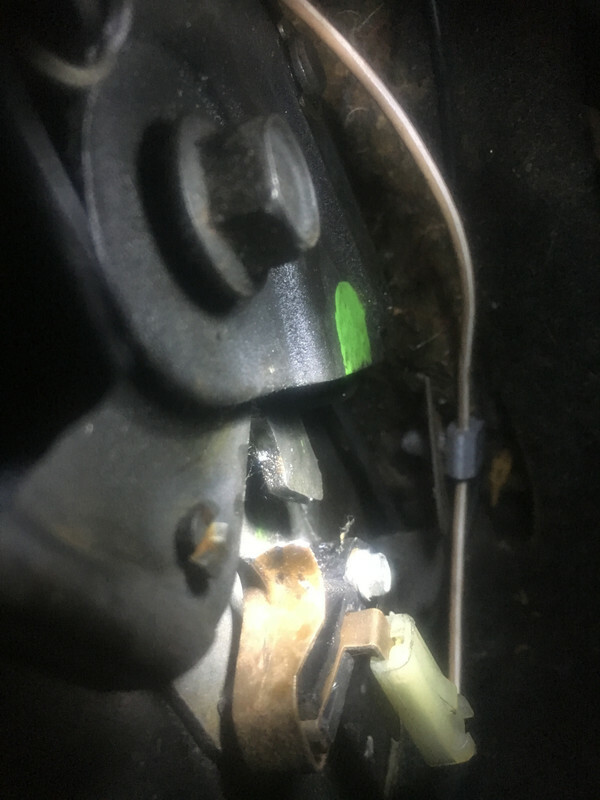 I can see easily that when the handbrake lever is down the cable that stretches across the with of the car is very very loose almost drooping. Any ideas? Mine is the same, no resistance at all and just drops back down, I assumed that was correct or you'd never get out the car with the handbrake in the normal up position.